ribbon density by weft, threads/cm: 10х2 ± 2х2. Today this type of souvenir products began to be used as an important attribute in sports competitions, during various forums and congresses and other political events. Decorating rooms for official events or celebrations, long sections of thematic ribbons can often be required. In this case, the products of our company will help you. Buying a tricolor ribbon on a roll is an excellent choice that will meet your every need. “PTGO SEVER” produces high quality goods, which are manufactured on their own equipment in strict accordance with the current GOSTs. To preserve the shape and prevent fraying of the yarn, the edges are processed under the influence of high temperature. Woven ribbon Tricolor produced by “PTGO SEVER” is a sample of quality in terms of strength and color fastness. 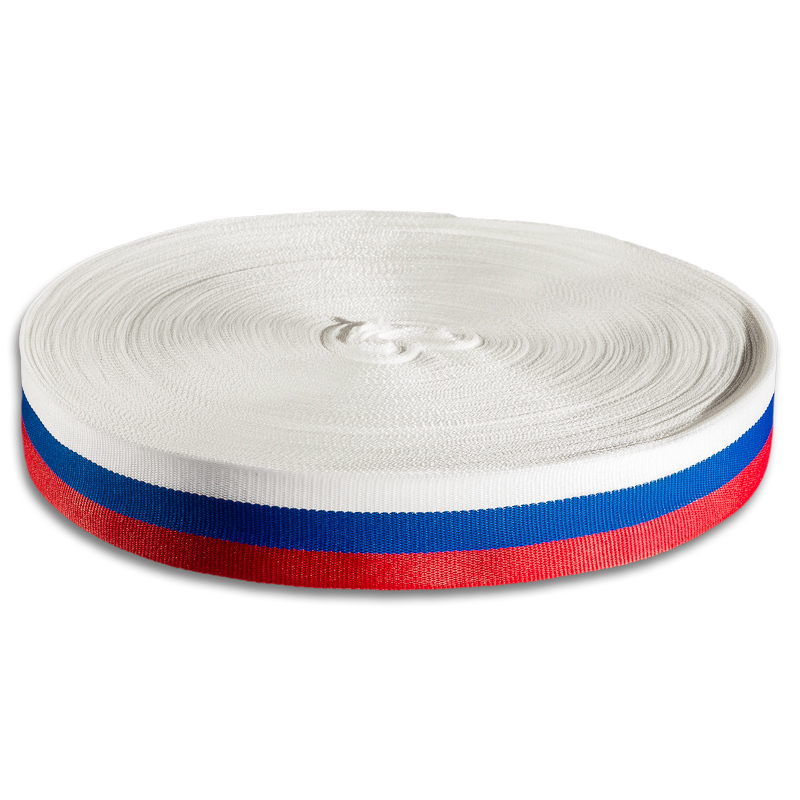 You can buy Russian ribbon in a roll at an attractive price, which decreases in the case of a large wholesale order. The company is focused on the delivery of large quantities of goods and offers beneficial terms of cooperation. Regular customers will appreciate additional bonuses.